65 continental, metal prop, auto fuel sct, lifetime struts.1444 tt. 370 smoh. Exstensive rebuild and recover in 1992. Always hangered. Light sport. Located n.w. Illinois.......more. 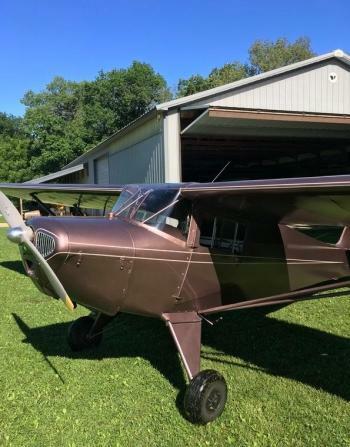 1946 Taylorcraft BC12-D - trade in and I don't need it. $25,000 Hangared. TT unknown. Engine 185 SMOH by Premier Aircraft in 2009, prop 185 SNEW in 2009, nice condition. Missing records prior to 2009. AC was destroyed in windstorm in 1949. 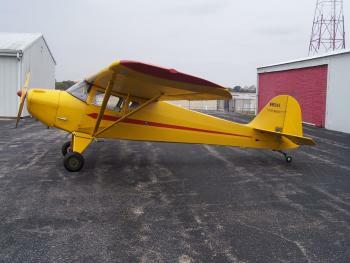 See logbooks below for details Airframe: 1946 Taylorcraft BC12-D - trade in and I don't need it. $25,000 Hangared. TT unknown. Engine 185 SMOH by Premier Airc......more.